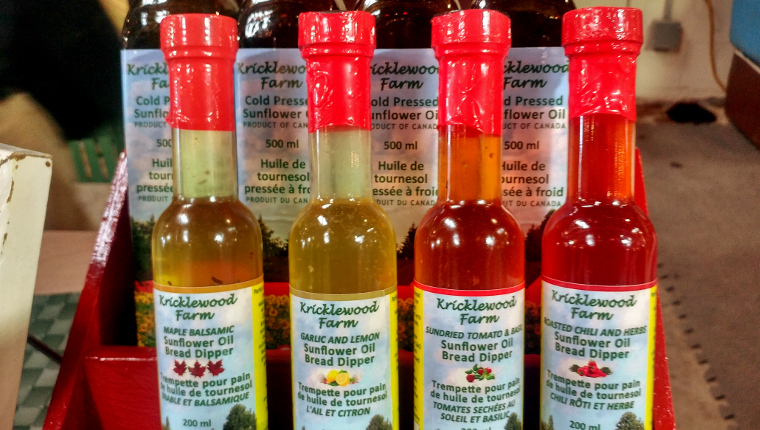 We started to develop Kricklewood Sunflower Oil for the Eastern Ontario local market in 2010. We planted our first 15 acres of sunflowers in 2012 and started to bottle our oil in early 2013. We grow and press the sunflower seeds ourselves on the farm in Frankville. It is a labour of love to see the seeds germinate and eventually bloom. It is an awesome site to see 15 acres of sunflowers in full bloom in July and August. We plant enough seeds to share with the birds. We plant an organic non-GMO high oleic sunflower seed. We chose this variety of seed for the heart healthy benefits of the final oil. We grow our seeds without herbicides or pesticides and we follow organic growing practices. We use mechanical weeding methods including ‘tine weeding’ and ‘row crop cultivating’ to encourage growth of the Sunflowers. We harvest the sunflower fields in late fall after the first frost when the seeds are naturally dried on the stalk. 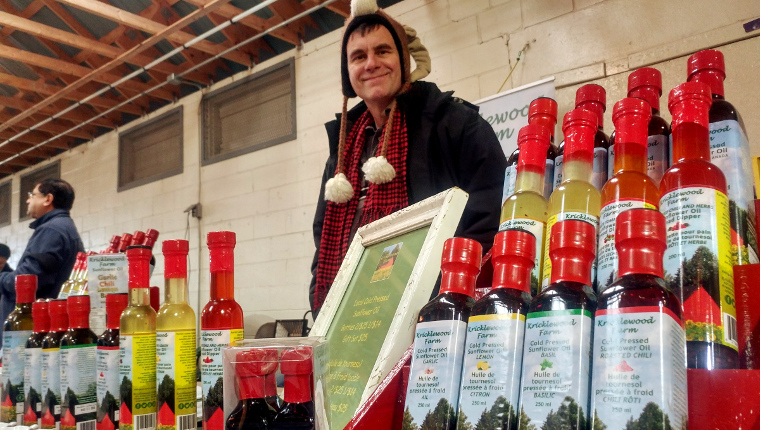 The harvested seeds are stored on the farm and pressed as needed to ensure freshly pressed sunflower oil for you to enjoy. We use a mechanical screw press to slowly squeeze the seeds for the oil. 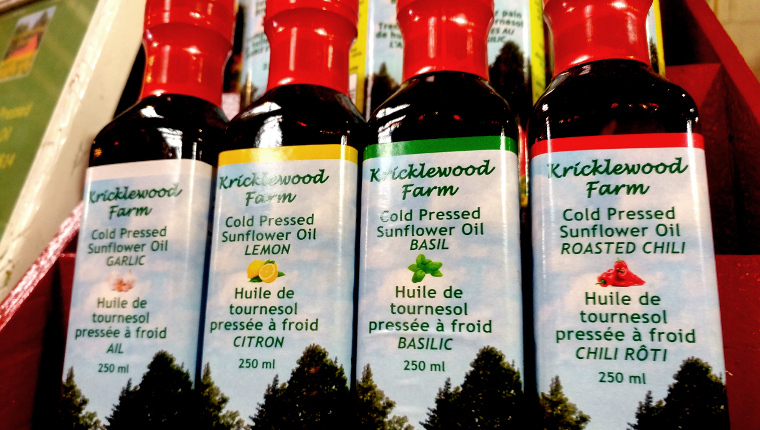 We monitor the pressing temperature to ensure a premium cold pressed sunflower oil. The slow pressing of the seeds results in a fresh nutty tasting sunflower oil with all of the sunflower seeds natural vitamins and minerals.